Unfortunately, our friend and colleague Virginia left this world far too soon. She was a great animal rights activist who always had the courage to stand up for her beliefs. She was a strong young woman who dedicated her life to animals. Her family and friends launched a fundraising campaign on FB in her memory. Thanks to this campaign, 6.000 euros have been collected. 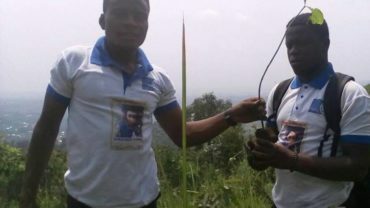 This amount is going to be used for the implementation of a forestry conservation project in Cameroon. 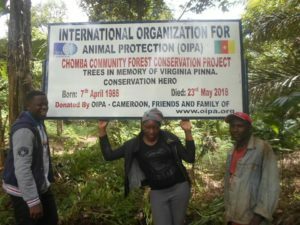 While working as International relations officer at OIPA, Virginia collaborated closely with the OIPA delegation in Cameroon for the realization of a project aimed at the protection of wildlife species. Thanks to those of you who gave their contribution to the realization of the 4-years project “Virginia’s dream”. We are immensely grateful for each person’s contribution to the realization of this beautiful initiative and we are happy to announce that now that the needed amount of money has been collected, the project can flow on its own and does not require further donations to do so. 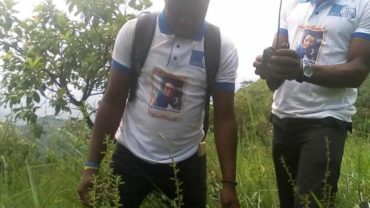 The Chomba Community-based Forest Conservation project “Virginia’s Dream” is a community-focused initiative that aims to improve water access through the planting of a thousand water friendly and economic trees and the monitoring of their growth. It focuses on working with nature to reverse catchment area degradation by engaging the Chomba community to establish catchment forests for water access and to protect biodiversity and wildlife. The project aims at saving animals through the rescue of their natural habitat. The Chomba forest is an area of high biodiversity; however, many species are in danger of extinction. The project will provide clean water habitats for the widest variety of freshwater plants and animals, including many endangered species. 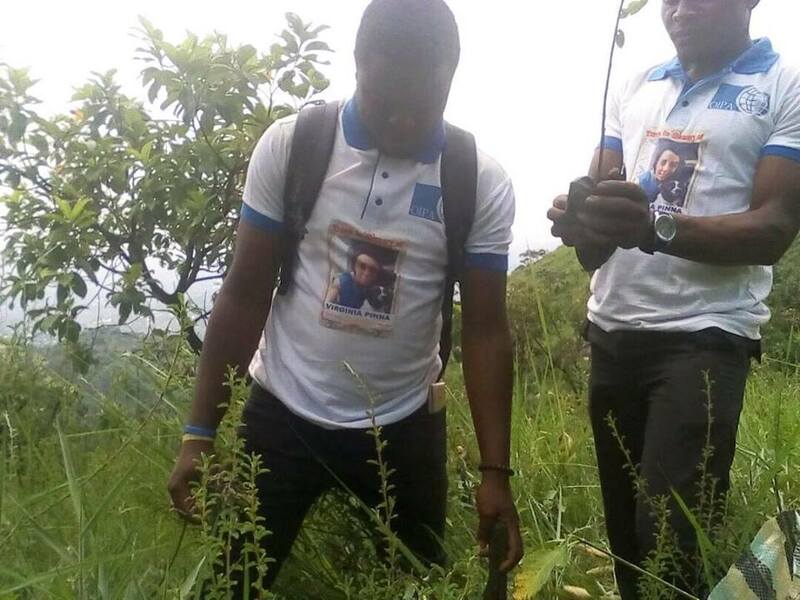 The first phase of this project shall consist in a capacity-building workshop with the community and 10 youths on the best tree planting techniques, treatment, bio-monitoring and sustainable forest management approaches towards the conservation of the forest. The next steps will be land preparation, involving clearing and the digging of 800 holes for tree planting. These activities will be implemented in close collaboration with the Chomba community and a delegation from the Ministry of Forestry and Environment. In addition, organic fertilizers will be applied to the dug holes using the technique of mulching, in order to ensure the environment benign growth of these trees. It is worth noting that the community shall assist in the execution of this phase. 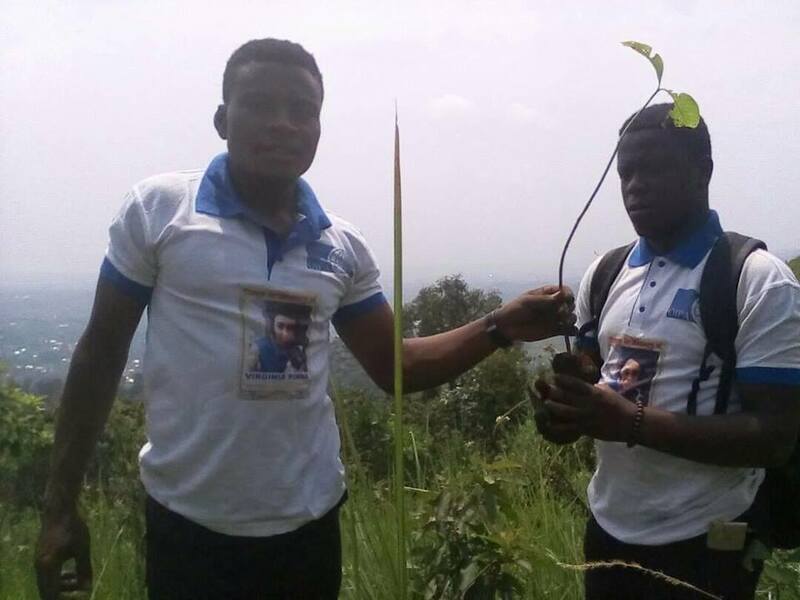 The trained youths and the community will then plant 800 water-loving trees. After the successful tree planting, fire boundaries will be created to protect the project area from possible bushfires. Environmental awareness activities will take place in two schools. Children will be sensitized on the importance of wildlife habitats, the reasons why to conserve them and the best ways to ensure a sustainable forestry and biodiversity conservation. Lessons will be supported by outdoor activities and the creation of environment clubs. Trained community’s youth will take care of the planted trees for 4 years. The project shall end with a closing ceremony attended by the community and other institutional and non-institutional stakeholders. 200 trees have already been planted as donation by OIPA Cameroon and other private and public donors… Virginia’s Dream project has reached 1.000 trees! !